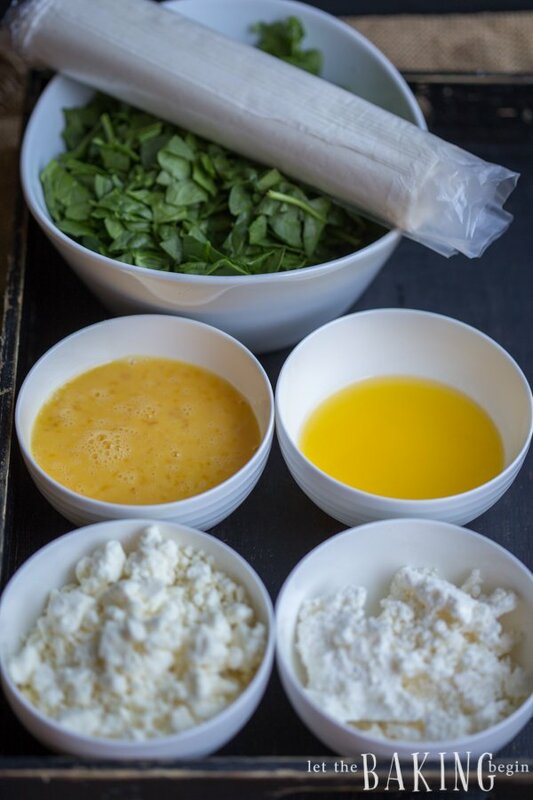 Spanakopita Triangles - Spinach and Feta Phyllo Appetizer - Let the Baking Begin! 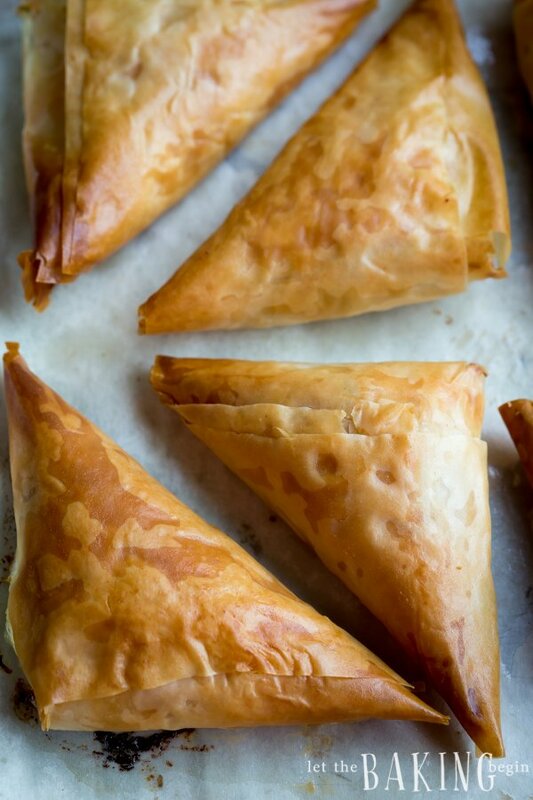 Spanakopita Triangles are Greek pastry hand pies filled with spinach and feta cheese. 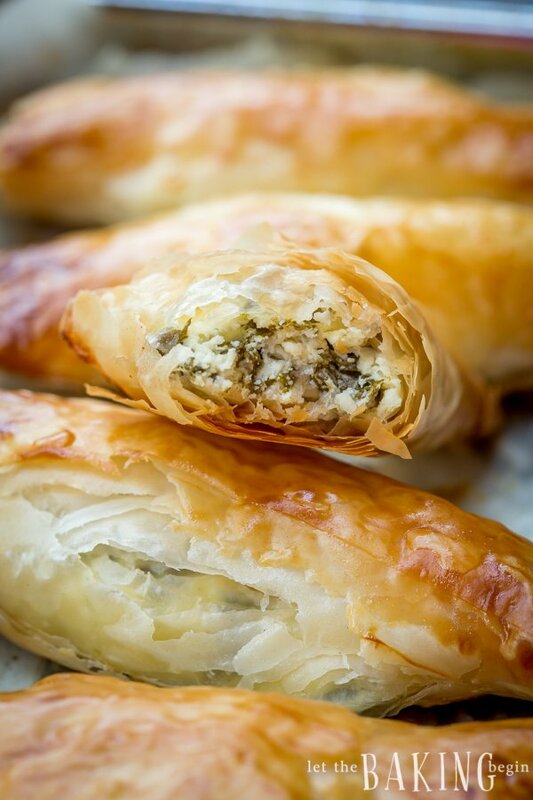 The layers of phyllo dough are flaky and work well with the slightly salty filling of spinach and feta. 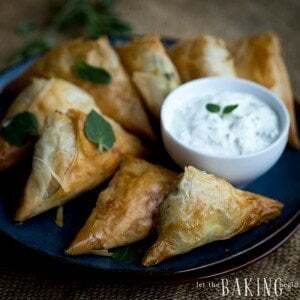 Spinach and Feta Spanakopita Triangles can be eaten as a snack or an appetizer, hot or cold, on their own or with a bit of a refreshing Cucumber and Yogurt Dip (Tzatziki). 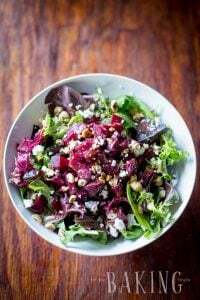 The pie can be made into individual portions, as you see in this post, or layered in a baking dish and then cut into squares, kind of like baklava. As much as I wanted to eat the whole batch by myself, I found enough restraint not to. Next day, I reheated Spanokopita in the oven for 5 – 7 minutes at 350F and they were back to the just-out-of-the-oven crispness and flakiness, just like the freshly made ones. Microwave spinach until wilted, about 1 minute. Set aside about 4 tablespoons of beaten egg into a separate bowl. 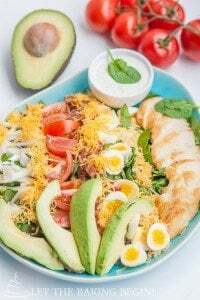 Mix the remaining egg with feta and the cottage cheese. Now add the spinach and mix again. Set the phyllo dough short side towards yourself, and cut it into 3 long strips. 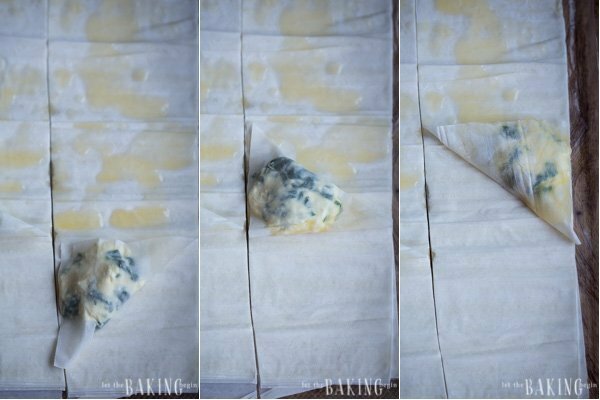 Roll up the rest of the phyllo sheets and cover with a towel or a slightly dampened paper towel, to prevent them from drying. Drizzle couple teaspoons of butter all over the sheet. Add 1 tablespoon of feta-spinach filling to the end of each strip that’s closest to you. Now grab two layers of sheets and start folding like pictured, into a triangle. Try to move fast or the phyllo dough will dry out. 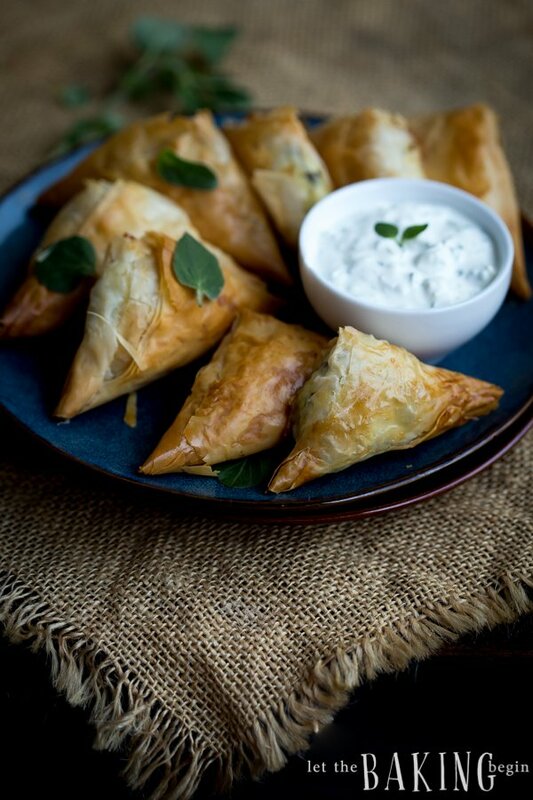 Place the Spanakopita triangles on a baking sheet and brush each triangle with either butter or the beaten egg. If you brush it with the beaten egg, they will have a sheen to them. 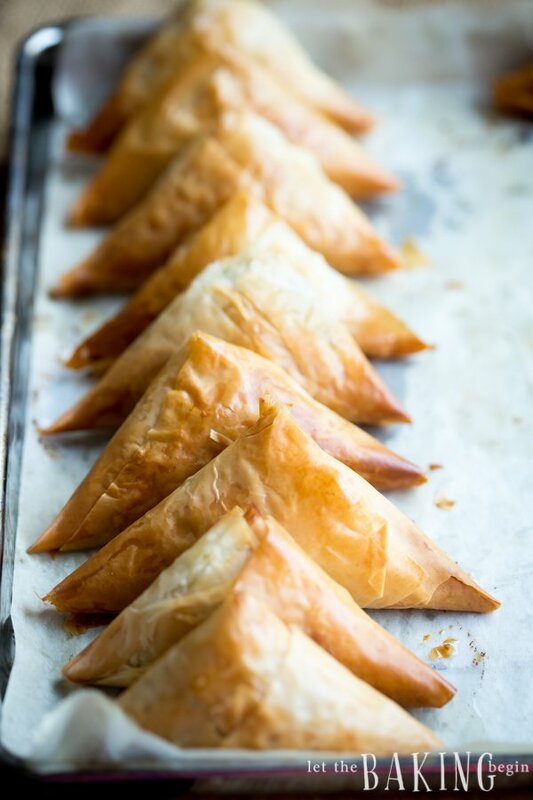 Try to bake Spanakopita Triangles as soon as you form them, or the wet filling will soften the phyllo dough and they will cause breakage while baking (see last picture in the post). Bake at 350F, for about 20-25 minutes or until golden in color. 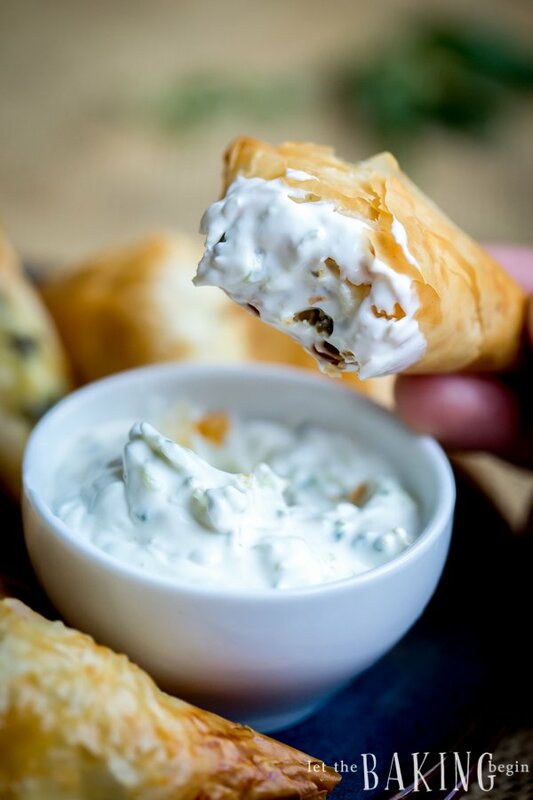 Eat warm or cold with refreshing Cucumber and Yogurt dip (recipe for Tzatziki dip here). Re-crisp leftovers by placing back in the oven for about 5-7 minutes, at 350F. 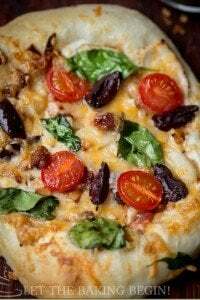 Easy Margherita Flatbread Pizza – Homemade pizza made in 15 minutes! 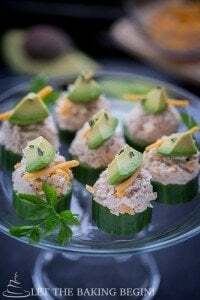 Cucumber Tuna Bites – Cucumbers with a creamy tuna and avocados. Microwave spinach until wilted, about 1 minute, or put in a skillet, cover with lid and allow to wilt over medium-low heat. Take away about 4 tablespoons of beaten egg into a separate bowl. 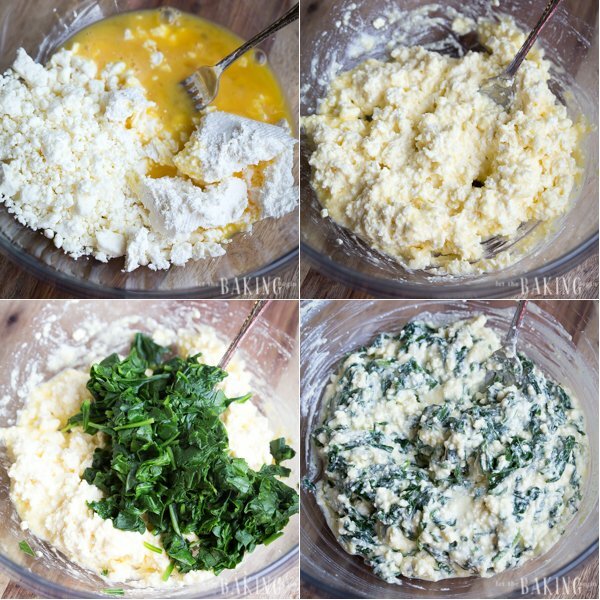 Add the remaining egg to 8 ounces feta, 3 ounces cottage cheese (orhomemade farmer's cheese) and mix together until everything is well combined. Now add the spinach and mix again. 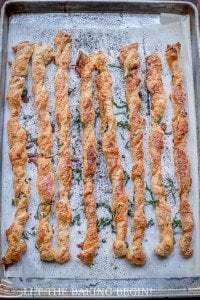 Take about half of your phyllo sheets and cut them into 3 long strips (about 3 inches wide each). Roll up the rest of the phyllo sheets and cover with a towel, to prevent them from drying. Drizzle couple teaspoons of butter all over the sheet. Add 1 tablespoon of feta-spinach filling to the end of each strip that's closest to you. Now grab two layers of sheets and start folding like pictured, into a triangle. Try to move fast or the phyllo dough will dry out. Place the triangles on a baking sheet and brush each triangle with either butter or the beaten egg. If you brush it with the beaten egg, they will have a sheen to it. Try to bake them as soon as you form them, or the wet filling will soften the phyllo and they will break while baking (see last picture in the post). Bake at 350F, for about 20-25 minutes or until golden in color. Please can you include metric measurements for the rest of the world? When I see oz, it puts me off and I go search8ng elsewhere. 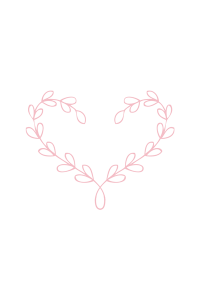 A beautiful blog post! I would love to be invited to join your Let the Baking Begin group board on Pinterest. Thanks! I love phyllo dough. I have enjoyed spanakopita before but have never made it at home but with your great point on reheating them I might try! Thanks Michelle! Hope you enjoy it as much as we did!